Thanks to Eat Smart for providing me with product. All thoughts are my own. Hubby and I recently took a quick weekend trip to TN, just the two of us. While we normally take family trips, we had the opportunity to simply go away without the kids for a couple of days, and since it had been years since our last trip alone, we shamelessly jumped at the chance. As I started thinking through the trip, wondering what I ought to pack, I quickly realized that I didn't have to make packing lists and start packing a whole week in advance this time. Packing for two days was going to be a breeze! I'm not a last minute packer, but my husband sort of is. I like to plan outfits, along with my accessories, and make sure I have all toiletries and other needed items for my time away from home. I like organizing by day, by category, and so on. My hubby loves the 'roll it up, throw it in, and pack it up' method of packing for a trip. Our differing styles of packing can sometimes lead to little spats, but this last trip of ours was so different because we were each given a set of packing cubes, which helped us pack in the ways we like best, saving space, time, and of course, our sanity. Eat Smart Introduces Travelwise Packing Cubes for Easy Packing Solutions! 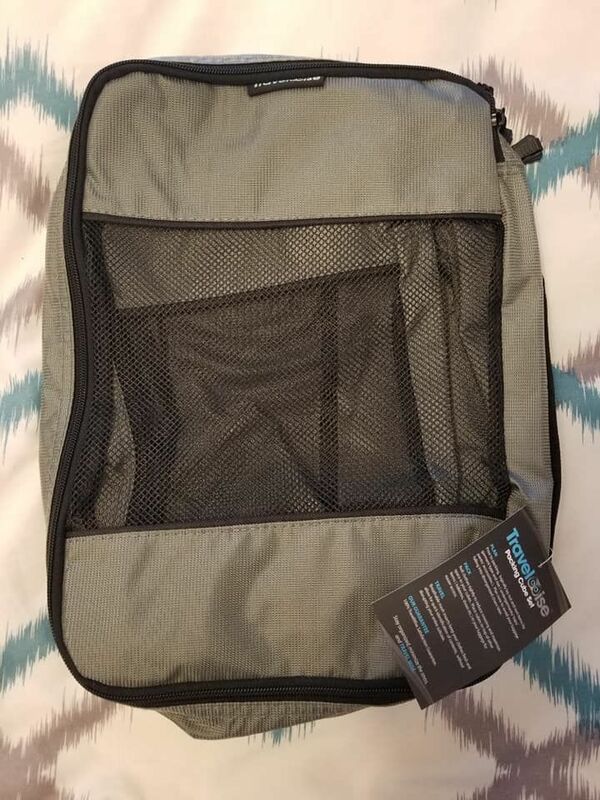 Travelwise Packing Cubes by Eat Smart, a smart way to pack and travel! Eat Smart has been one of my favorite companies for many years. We've showcased a lot of their wonderful products on Mommy's Block Party in the past, and I couldn't be more excited to share their new Travelwise Packing Cube Sets with you! 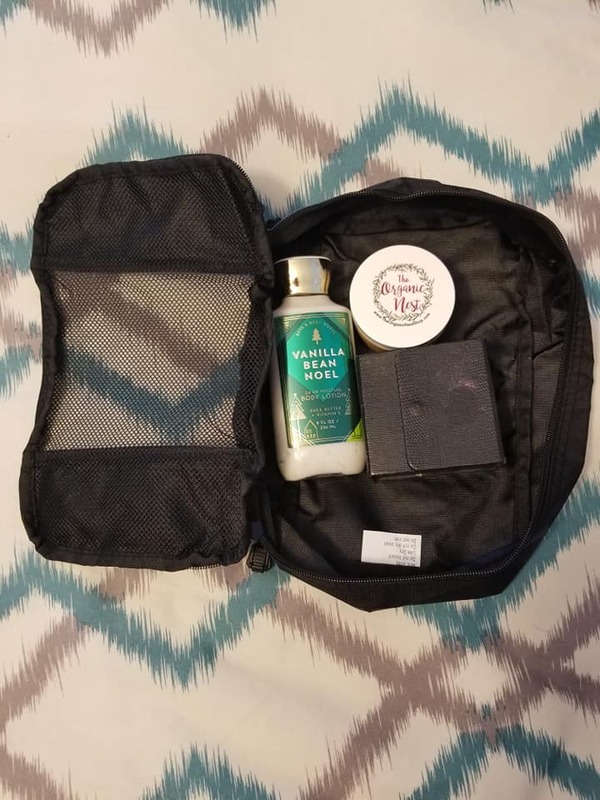 I've seen plenty of packing cubes out there, and every time I see one online or in-store, I think, 'gosh, I could probably really benefit from having a set.' I never break down and by one, though, which leads to disorganized packing when we go on trips, and leaves me unable to find what I need once we arrive at our destination. The largest size is great for holding larger items, like clothing. The Travelwise Packing Cube sets are really clever. The sets come with three packing cubes in various sizes, making them perfect for holding everything from clothing and shoes to toys and toiletries. 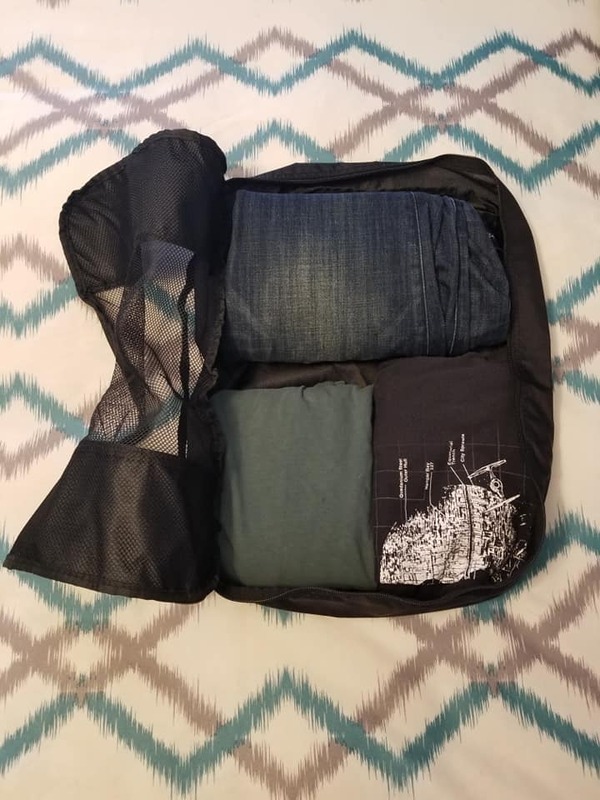 I was pleased that my husband could fit all of his clothing into the larger packing cube (keep in mind, this was for a 2 day trip), including pants, shirts, underclothes, swim trunks, socks, etc. The medium size cube is great for storing shoes, athletic clothing, and more! I was so happy that I was able to organize my athletic clothing, socks, and shoes in the medium size cube. I like to keep items separated, if possible when we travel, so I can quickly find and grab what I need when I need it. Packing in the cubes also makes unpacking a breeze, especially if you'll be enjoying an extended stay. The small cube is just right for toiletries. I used my small cube for toiletries. This gave me space for makeup, lotion, shower products, jewelry, hair products, etc. Hubs and I normally share a bag for toiletries, but I rather liked having my own cube to store and pack them in this time. Using the packing cubes really helped us save on space. The cubes simply zip closed, and the mesh pockets allow breathability in clothing, etc, keeping everything fresh. Spills? No problem, these can simply be wiped clean. 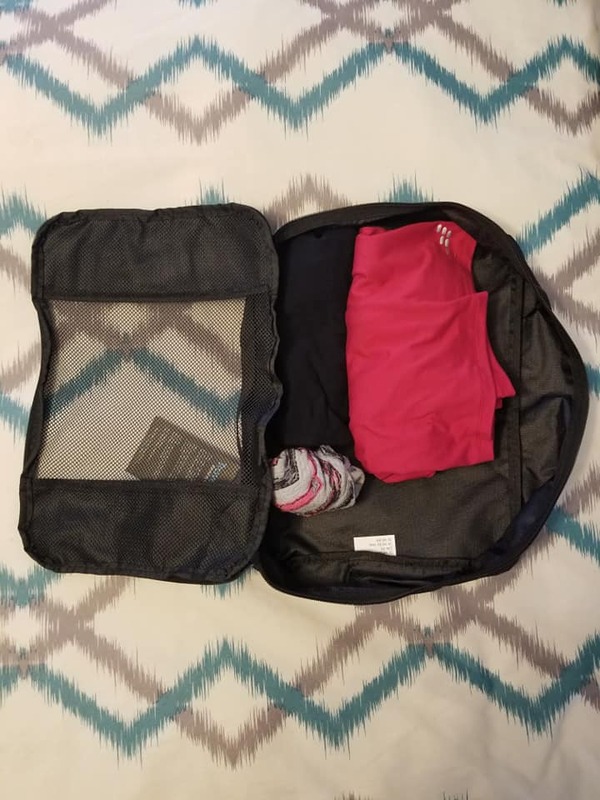 The packing cubes fit easily into our travel bags and made it so easy for us to pack, organize, and then unpack and repack all of our needed items for our trip. I am so happy that Sacha and I each have a set of these awesome packing cubes. I will definitely be buying a set for each of the kids. The true test will come when we pack for an upcoming week-long trip, and I can't wait to organize the kiddos' things in the packing cubes! If you have travel plans over spring break or are planning your summer vacation, add these to your shopping list before you go! They will save you time, space, and will allow you to pack while keeping everything organized. Head on over to Eat Smart to check out their amazing Travelwise Packing Cube Sets. The packing cubes are available in a variety of colors and come three cubes to a set for $14.95. Connect with Eat Smart on Facebook, Twitter, and IG. One lucky reader will win their own set of Travelwise Packing Cubes (3 pc set)! Where will you take your Travelwise Packing Cubes by Eat Smart this spring? I love your content so much. How do you do that? I have heard great things about packing cubes, and have been wanting to get a set. Thank you for the chance to win! I would love to win, because summer is coming and these would be needed and used. Thank you for the opportunity! I would like these for when we travel because they would keep things from getting wrinkled and keep everything organized. I would pack some female personal items, some snacks, and my needles for my Diabetes and my meds. I can think of more. They are handy cubes. would come in handy for the King's Island tripes all the time. I'd love them to organize my stuff for spring break! I would also pack small to go travel games in them so the pieces won’t get lost. I'd put socks and shoes! With spring travel here just a great way to stay easily organized and that makes the traveling easier. I like that about the cubes. I would love to win this for my next trip. They would be so helpful. 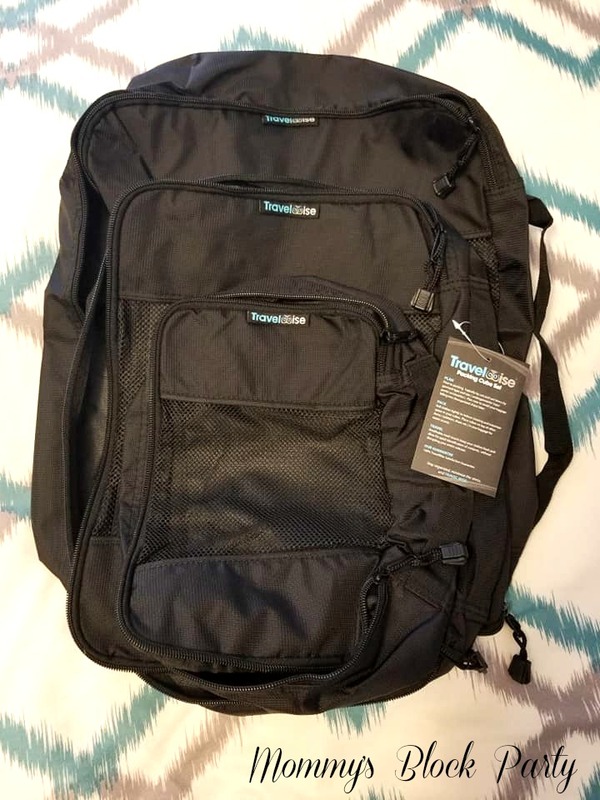 These Travelwise Packing Cubes are so awesome! I'd love to win a set for my Son; he travels quite often and doesn't have anything near as nice as these! I want to win them to give to a friend. I already have a set and they are great. 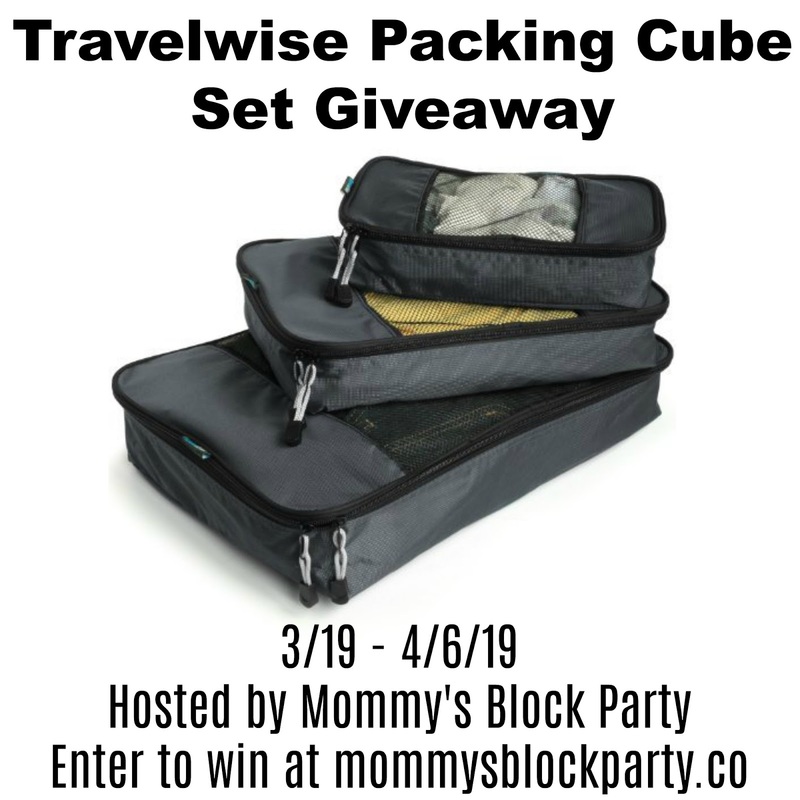 I would love to win the Travelwise Packing Cube Set so that we can keep our items and suitcase organized when we travel. Thanks for the chance! I would use the packing cubes to organize different outfits together for the suitcase. I would organize outfits in the packing cubes, as well as like items, such as chargers & bricks, & cords. My daughter travels often so these would be perfect for her to use i like them too. My mother travels often for work so I bet that these would be perfect for her! It seems like I travel more now for work than I did when I was on the other side of state.. I feel like this would make packing easier!